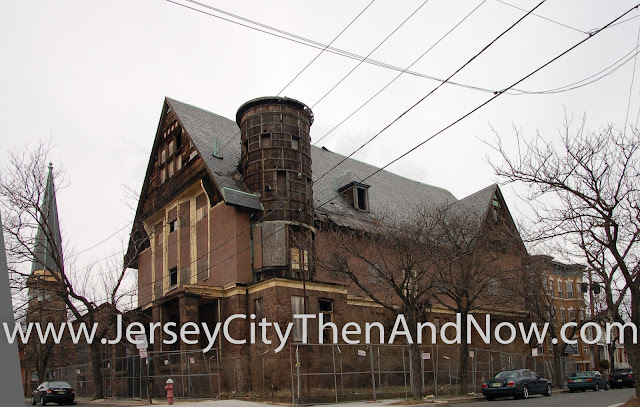 In this post we are departing from downtown Jersey City and into Bergen-Lafayette, for a change. 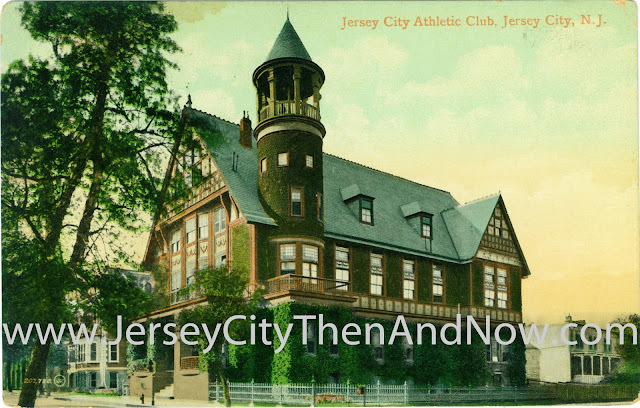 I first saw a drawing of Jersey City Athletic Club in a turn-of the century article (about 1900) about new athletic clubs in the New York area online. Unfortunately I can not remember where I found it - I believe it was a New Jersey state archive or similar. This had the approximate address of the club. Using this, in combination with the old Plat maps from Rutgers, is how I managed to locate the building. I also saw a drawing of Jersey City Athletic Club by local artist August Will (1834-1910) at the Jersey City Museum. The drawing is available in their online catalog here. This is an article from 1889, celebrating the clubs 10th anniversary! When I took the photo I met a long-term neighbor that mentioned that the building had bowling alleys inside and that it had been used as a masons lodge in the 50s that spared no expense on lavish meals. Given the current condition, I wonder how long it will survive? A shame on such a beautiful building.